The spirit of Temple Bar and much more! 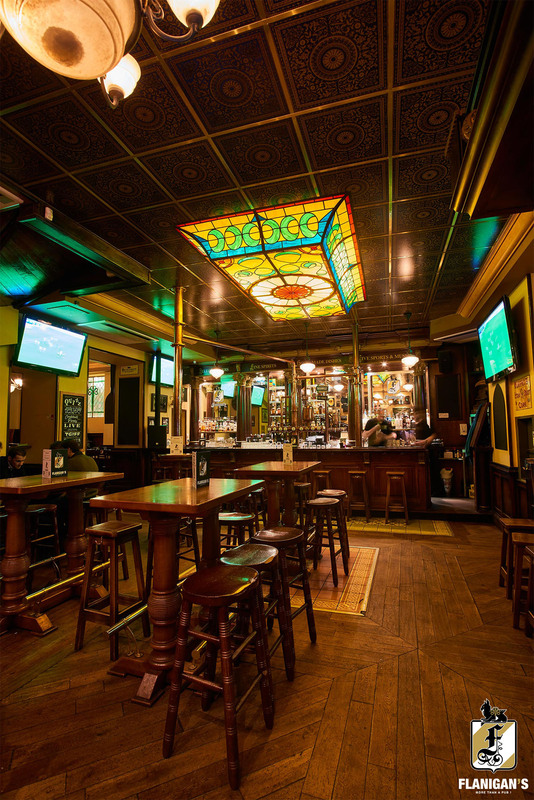 Designed over two floors in the pure tradition of the Dublin pubs, Flanigan's offers an atmosphere in Lyon. 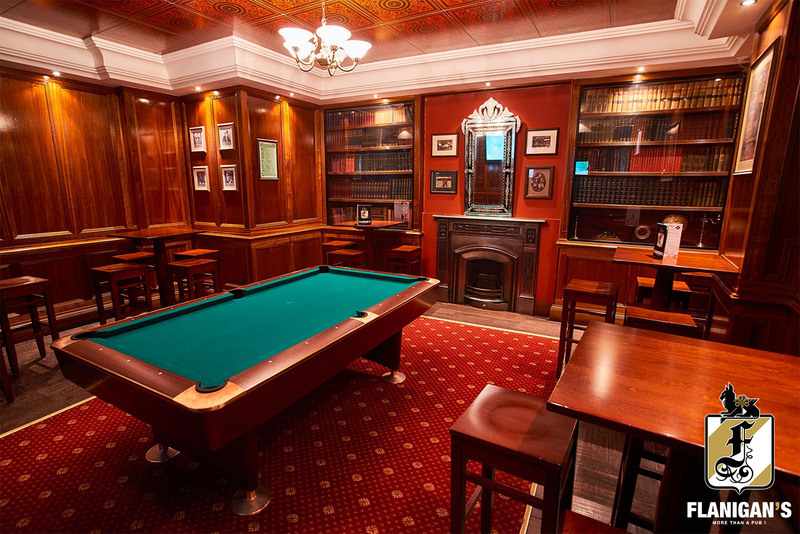 Here you will find everything that makes the essence of an Irish Public House: carpeting, wood panelling, mouldings, gilding, home bilingual and even a pool table… At the counter of our two bars enjoy a very wide range of pressures and bottles beers, thirty references of whiskies and a typical, hearty, simple food and quality! Open all week drink afterwork and until the end of the night the weekend, there is always something happening at Flanigan's: groups in live, the weekly quiz, tastings of cocktails, DJ sets, the essential live sports and much more! Flanigan's is more than a pub!